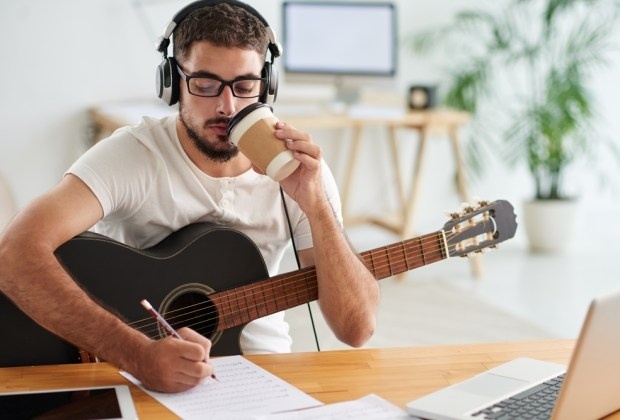 An industry veteran––a songwriting mentor who has had years of experience grooming and handling multiplatinum-selling talent––gives you specific instructions about the art & craft of hit songwriting. Be up front with your story. Look at the first two lines of your lyric. Imagine someone came up to you and read just those two lines. How much has the, “who, what, where, why, and how” of the story been communicated? If you’re still lost after hearing those first two lines (i.e., you don’t know what’s happening to the protagonist or have any idea what the song is about), then a record executive, producer, or casual listener will likely be uninterested in hearing more. Go to any of your lines. Read just that one out loud. Does it make sense? Could it stand on its own without the support of the preceding and subsequent lines? It should. Every line should present a complete and independent picture for your listeners. Every line should also ultimately speak to the title of your song. Your title is your theme, and good writing never strays from its theme. Vary the length of your lines. Type your lyric flush left on a sheet of paper (by the way, if your lyric doesn’t fit on one sheet, you’re in trouble). Can your draw a neat box around your lyric? How about your chorus or bridge? Do most of the lines hit the right side of the box? If this is true, then your song will likely sound monotonous. You need variety in the lengths of lines and patterns of lyrics. Look for a really ragged right edge as a sign that your lyrics are conversational and rhythmically interesting. Vary the number of lines between chorus and verse. Count the number of lines in each of your verses. Now, count the lines in your chorus. If they’re exactly the same (e.g., 4-line verse and a 4-line chorus), then you’re probably not contrasting enough between the two sections. That contrast helps the song feel fresh and exciting when played. Match the beat between verses. Count the number of beats in the lyric of verse 1, line 1. Now, count the number of beats in verse 2, line 2. Do they match? What we often see is something like 8 beats in verse 1, line 2, and 13 beats in verse 2, line 2. No way those extra 5 beats are going to fit comfortably on the melody you worked so hard to establish in the first verse. Give yourself a title of power. The position of your title tells the listener what your main point is. There are certain power positions in a song, all dependent on the structure you set up. Is it a verse/bridge structure (A,A,B,A)? Then your title will be in the first or last line of the verse. Think of “Yesterday” by the Beatles. Exceptions are rare, and require strong melodic emphasis to counteract the weaker positioning. For a verse/chorus structure, the power positions are at the beginning or end of the chorus. Pick one for your title. Keep in mind that repetition of the title can work here. Think, “Yellow Submarine,” by the Beatles. Burying the title in the middle of your song confuses your listener, leading to fewer requests on the radio and fewer purchases at the store. Establish consistent rhyme schemes but change up your rhyme sounds. Look at your rhyme scheme. If you have an a, b, a, b, c, c rhyme scheme in verse one, you should do the same for verses 2 and 3. Now, what about the sounds of your rhymes? Is your song just a repetition of the ‘ee’ or ‘o’ sound? The ear gets tired relatively quickly from repetitive sounds like this. Make sure your pronouns agree with their antecedent. When you’re listening to a song, and you recognize that “you” has become a “she,” you’ve now entered Pronoun Hell. You, as a songwriter, shouldn’t write “I” three times and have it refer to three different people. This sort of thing needlessly confuses your listener and can totally take away from your song’s story. Pro tip: when you’re using a quote in your song, make sure there’s an audible “he/she/they said,” so the listener understands what’s going on. Sing your melody a cappella. Do it into a tape if you have to, but keep an ear out for where the title goes. If that happens to be the best part of your melody, then congrats, you’ve placed the title correctly. If not, fix it. Also, look for emotional dynamics in your song. Do you feel emotion when singing it? Or does it sound repetitive like a nursery rhyme. Make sure you vary the lengths of notes and the intervals between the notes to create a sense of connection to the listener. Color your melody with chords. Each chord has an emotional tone that gives shading to your melody. Minor chords tend to express doubt or sorrow. Major chords have a happy, positive feeling. Adding 6ths, 7ths, 9ths, suspensions, and inversions, give the basic chord more feeling. Appropriate use of chords will give you the sound you’re looking for. Being too rapid or complex with chords might be distracting. Not changing enough or having a repetitive strum can be boring. LOREN ISRAEL is a Songwriting Teacher, Record Producer and A&R Consultant specializing in finding and developing new talent. For over 15 years, Loren was an executive in the Artist & Repertoire department at Capitol Records. He worked with bands such as Coldplay, Less Than Jake, and was the A&R rep for Jimmy Eat World’s multiplatinum Dreamworks album, Bleed American. Lately, Israel has been developing artists through his six-month Songwriting Course, while also recently becoming an A&R Consultant for Sony Music. Bands he’s mentored through his course include: Plain White T’s, Neon Trees and the Unlikely Candidates. His songwriting mentoring has helped his bands earn over $60 million in contracts, promotions and merchandise.